It's been a busy past week both in my little sewing space and out and about in the crafty community. Wrapped the ABC Radio building in an 840m scarf with Brown Owls, BrisStyle and the Salvation Army to raise awareness of the amazing work Salvation Army does for the homeless (the scarf will be divided up and donated to those in need). 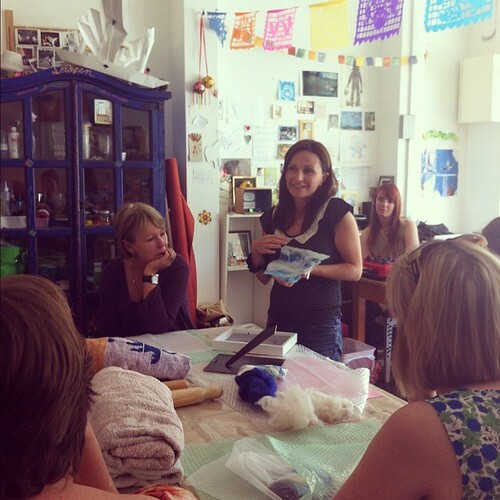 Had a gorgeous morning with Sandrine from SMboutique, Brown Owls and Imogen's Art Space for a felt-making catch up. 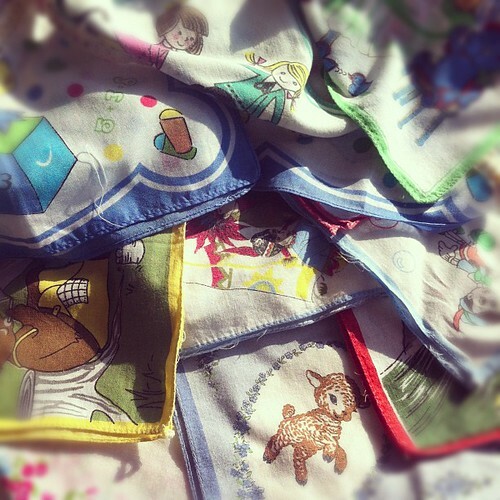 And to round it all off I have a big pile of vintage kids hankies to contend with this morning. They were my lil sis's when she was a kid, destined to be turned into something sweet for her birthday this weekend. 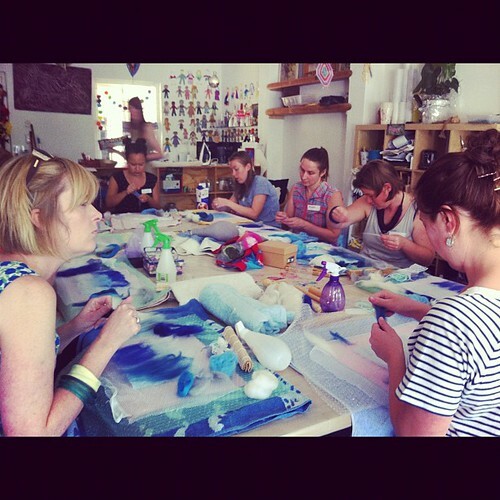 What's been happening in your space lately? You can show it off or check out more here. The custom order is just too darn cute for words. I love it. 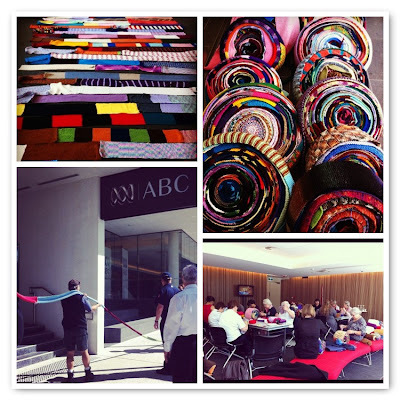 The Salvos do a great job helping the homeless and I'm sure all those scarves will be greatly appreciated. those hankies are just gorgeous. I love the idea of a quilt and bunting. Or maybe you could make them into a couple of patchwork cushions? oh ! 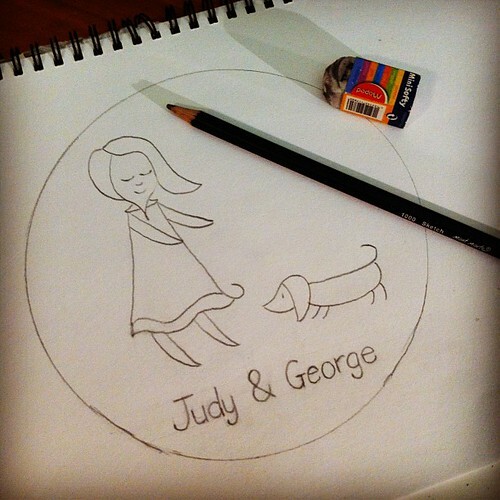 Judy and George are very awesome ! Wow... Awesome and am really impressed!